SOS is the internationally recognized Morse code for distress. SOS is now associated with not just distress but also as a symbolic reference for someone asking for ‘help’. 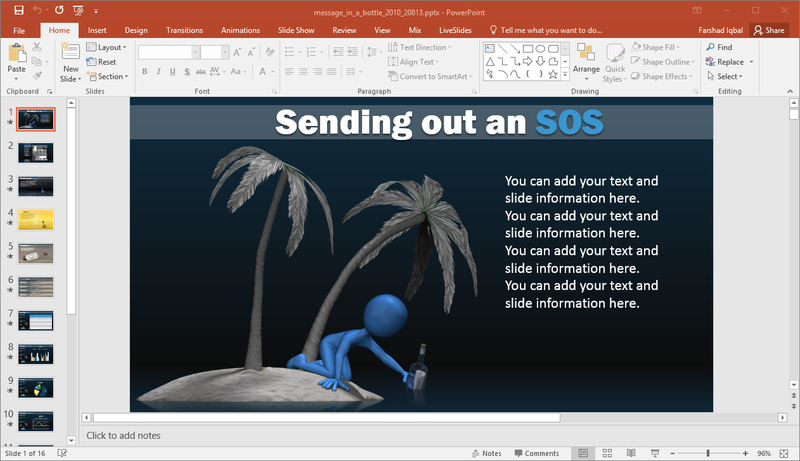 The Animated SOS PowerPoint Template provides just the right type of slides for you to make presentations on subjects like, distress, disaster, relief, disaster response and rehabilitation. 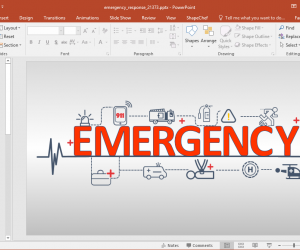 Additionally, you can also use this template for discussing troubling business forecasts, market competition and other topics that can be tied to SOS symbolism. 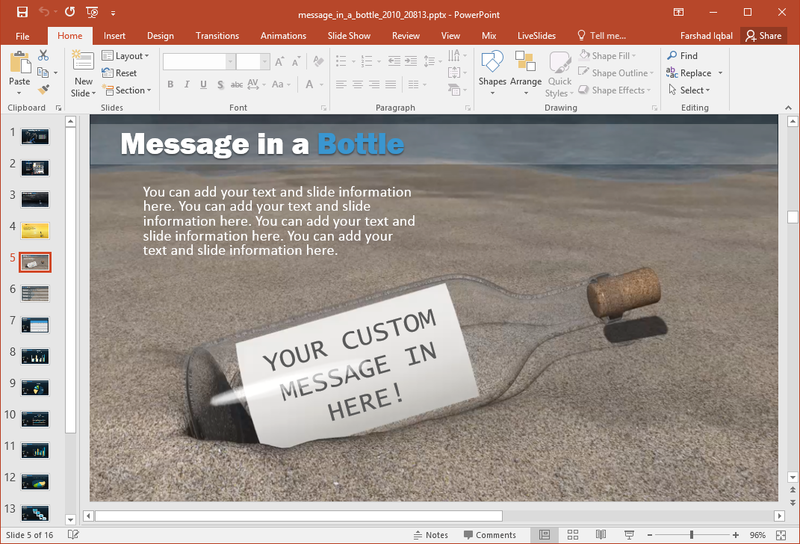 The template gives many finely crafted animated slides, including ones depicting a message in a bottle. this is an old symbolism of someone lost at sea, sending out a desperate message in a bottle in the hope that it will be found by someone who might be able to send help. 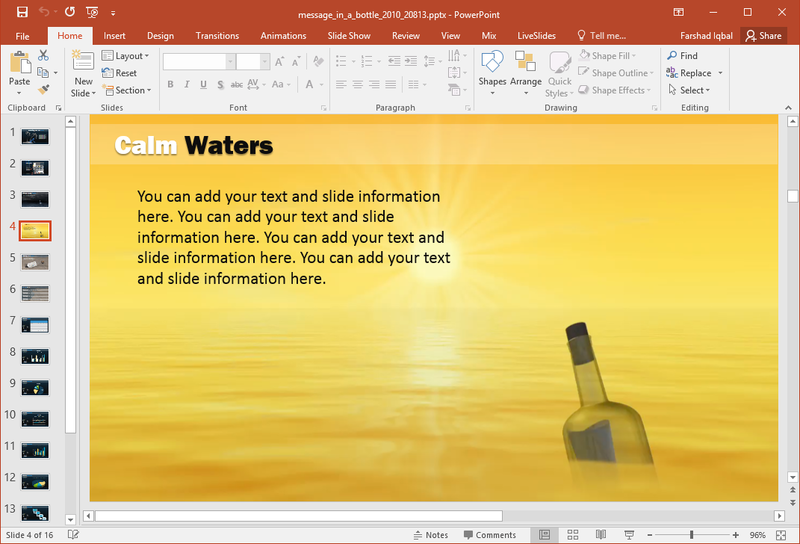 This animated symbolism depicted within sample slides can help you add some humor to your slides and make your content more attention grabbing. 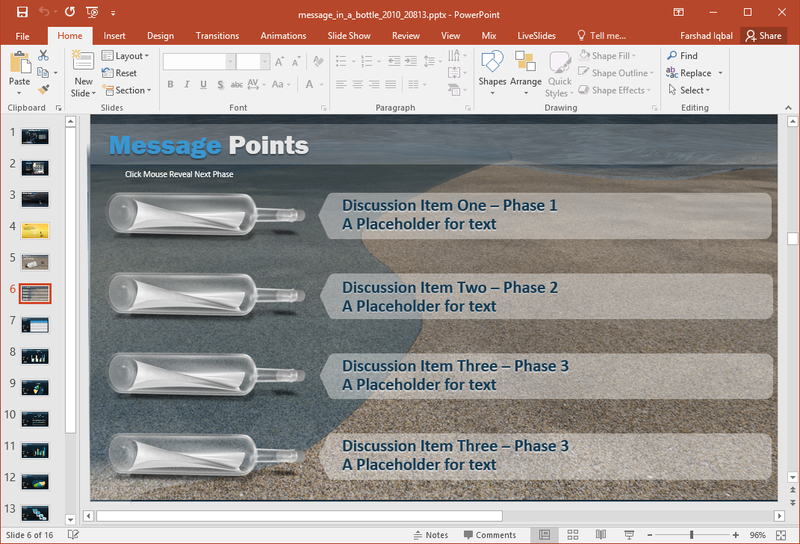 There are a wide range of sample slides with sample charts, diagrams, clipart and other resources that you can use for making your slides. 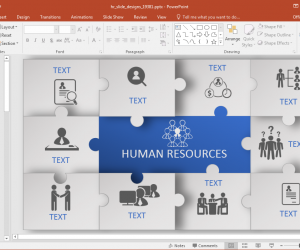 The entire layout within each slide is editable, making it possible for you to fully customize the slides according to need. 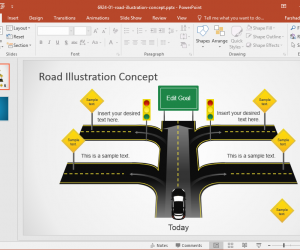 The given layouts can also be used for designing infographics. 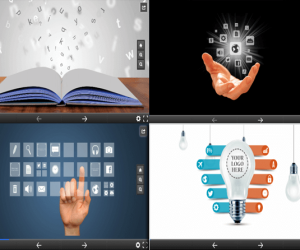 You can make use of the animated slide designs to represent your content in a manner that makes them appear distinctly elegant, while also making your added information easy to grasp by your audience. 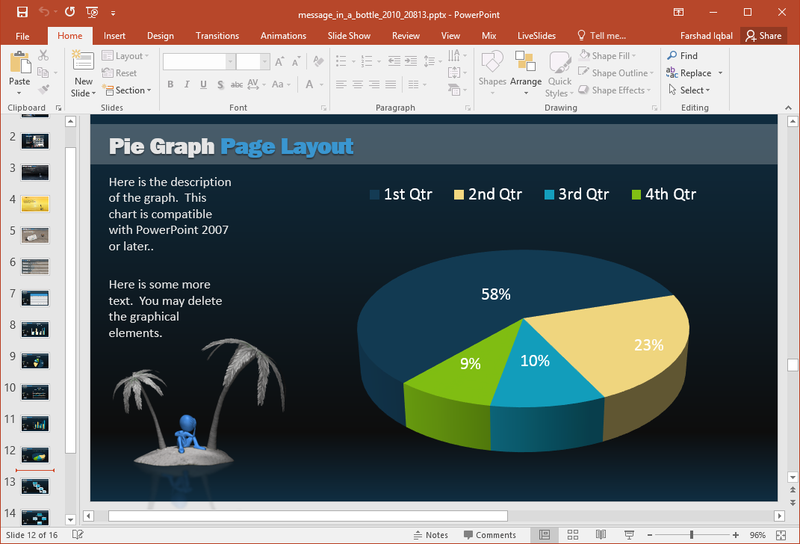 There are a number of slides with charts, tables and SmartArt that can be quite helpful in interpreting important data. 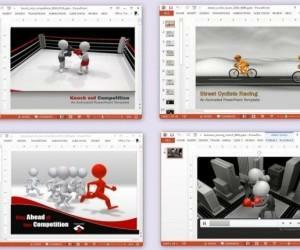 These slides can help you reveal essential bits of information using readymade layouts to ease your burden. 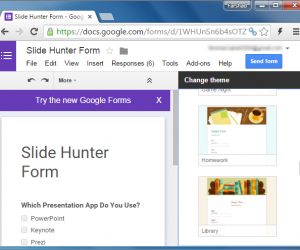 Furthermore, you can optionally change the color and overall look of slides to match your corporate colors or presentation subject.